Leaked images reveal trademark Turbo features. The eighth-generation Porsche 911 was unveiled at the 2018 Los Angeles Auto Show just last November. 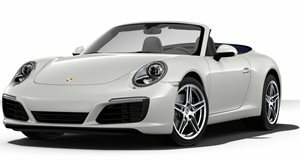 Initially shown in Carrera S and 4S forms, the usual drip-feeding of additional variants has so far yielded a convertible model with the rest to be released over the course of the next two years. Top-spec models like the Turbo models were not expected for some time yet. We were hoping for a possible reveal at the 2019 Frankfurt Motor Show this September, but it seems as if someone has stolen a bit of Porsche’s thunder by posting images on Instagram of what looks very much like the 992 Turbo being prepped on a production line. The 911’s development is nothing if not evolutionary so the changes over the standard Carrera S are similar to what has been the case with Turbo variants in the past. That means two large air intakes in front of the rear arches, a bigger rear wing and a rear bumper that houses four large square tailpipes. Other as yet unreleased new 992 models like the GT3 and GT2 all have their own signature design details so unless this is one elaborately photoshopped image, we are pretty convinced that what we are looking at is the 992 Turbo. Official releases for the 992 range this year are expected to include the base Carrera and Carrera 4 models as well as the addition of a manual transmission option to all Carrera variants. The tastier models like the aforementioned GT-cars tend to take a bit longer to make their entrance, but perhaps Porsche will expedite things a bit this time around, seeing as nothing stays a secret for very long on the internet.